Facebook’s bad week included a new security breach, high-profile resignations and damaging exposés; tech giants are spending billions on physical infrastructure and lobbying for new federal privacy rules; and what is Google trying to achieve with its sponsorship of media organizations? Facebook said today that it has discovered a security breach that affected nearly 50 million of its users. According to the company, attackers used code related to its “View as” feature to take over Facebook users’ accounts. Even before the latest news arrived, Facebook was already having a bad week, after Instagram founders Kevin Systrom and Mike Krieger announced their resignations, months after WhatsApp founders Brian Acton and Jan Koum quit. Systrom and Krieger didn’t specify the reasons for their resignations, but the New York Times and ReCode suggested they left over tensions regarding Instagram’s increasing integration into Facebook. A new study by researchers from Northeastern University and Princeton finds that Facebook is giving advertisers contact information handed over by users for security purposes, like phone numbers they provided for authentication. The researchers, writes Gizmodo’s Kashmir Hill, found that “when a user gives Facebook a phone number for two-factor authentication or in order to receive alerts about new log-ins to a user’s account, that phone number became targetable by an advertiser within a couple of weeks. 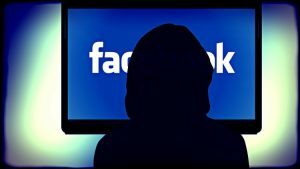 So users who want their accounts to be more secure are forced to make a privacy trade-off and allow advertisers to more easily find them on the social network.” Moreover, the authors found that Facebook is also using what they call “shadow contact information”—information not directly provided by the users—for ad targeting purposes. This Washington Post story by Elizabeth Dwoskin on Instagram’s “sizable open marketplace” for opioid ads is also worth a read. Google has been under intense political scrutiny as of late—its conspicuous absence from Congressional hearings certainly didn’t help its political standing—which prompted CEO Sundar Pichai to visit Capitol Hill to meet with Republican lawmakers. In a letter to members of the Senate Committee on Commerce, Science, and Transportation ahead of this week’s committee hearing on data privacy, former Google scientist Jack Poulson revealed more details about Google’s planned censored version of its search engine in China, codenamed Dragonfly. Poulson, who resigned from Google in August in protest, wrote of “a pattern of unethical and unaccountable decision making from company leadership.” He also reported that during the development stages of the Chinese search engine, Google experienced “a catastrophic failure of the internal privacy review process, which one of the reviewers characterized as [having been] actively subverted.” During the hearing, which featured Google’s chief privacy officer Keith Enright, Enright was asked about Google’s controversial re-entry into China, but provided few answers. The big five tech platforms—Alphabet, Apple, Amazon, Microsoft, and Facebook—collectively spent $80 billion on “big-ticket physical assets,” including manufacturing equipment, further raising competition concerns, reports Bloomberg’s Shira Ovide. “How can a company hope to compete with Google’s driverless cars when it spends $20 billion a year to ensure it has the best laser-guided sensors and computer chips?” she asks. Tech giants are also apparently lobbying for new federal privacy legislation in the hopes of bypassing California’s strict new privacy law. A new study by the European Journalism Observatory looks into Google’s News Initiative and asks: what is Google trying to achieve with its push into sponsoring publishers and media organizations? As Google becomes “a central node for the production and distribution of news” and provides media institutions and publishers with hundreds of millions of euros through various grants and initiatives, the authors write, it gains a “soft power” that helps advance its long-term interests. Award-winning investigative journalist Julia Angwin announced the creation of a new nonprofit data journalism venture called The Markup this week. Backed by a $20 million grant from Craigslist founder Craig Newmark and $2 million from the Knight Foundation, the new site will focus on investigating the tech industry (In an interview with the New York Times, Angwin compares today’s tech platforms to the canned food industry), exploring such areas as “how profiling software discriminates against the poor and other vulnerable groups; internet health and infections like bots, scams and misinformation; and the awesome power of the tech companies.” In Fortune, Jeff John Roberts writes about the new venture and the legal risks that will likely be involved with going after tech giants. The SEC is suing Tesla CEO Elon Musk over his failure to back up the infamous August 7 statements about having “secured” funding to take Tesla private, alleging that Musk had misled investors. Musk, the suit alleges, “knew or was reckless in not knowing” that he was making “false and misleading” statements. “In truth and in fact, Musk had not even discussed, much less confirmed, key deal terms, including price, with any potential funding source,” the SEC suit says. UPDATE: Musk and the SEC reached a settlement under which Musk agreed to step down as Tesla’s chairman (Musk will remain CEO) and pay a $20 million fine. Tesla will pay a separate $20 million fine, add two independent directors to its board and monitor Musk’s public communications, including his tweets. In a new issue brief, the Roosevelt Institute’s Marshall Steinbaum and University of Tennessee law professor Maurice E. Stucke propose an alternative to the consumer welfare standard that has dominated antitrust enforcement for the past four decades, which they call “the effective competition standard.” Also this week, Federal Trade Commission Chairman Joseph Simons announced that Gail F. Levine would serve as the deputy director of the FTC’s bureau of competition. Levine has worked in the past for both the FTC and the Department of Justice, but her most recent job has been as Uber’s top antitrust lawyer. “Having a union could hurt innovation which could hurt customer obsession which could ultimately threaten the building’s continued existence,” argues Amazon, which has faced increasing scrutiny in recent years to improve its workers’ low wages and the poor working conditions in its warehouses, in a training video that was sent to Whole Foods team leaders and leaked to Gizmodo. Amazon is currently fighting unionization attempts by Whole Foods employees. Last week, Comcast outbid 21st Century Fox and won the auction for Sky. The Financial Times covers Comcast’s expensive $39 billion bet on the future of media. Forty-seven bankers were sentenced to jail time for the role in the lead up to the 2008 financial crisis, the Financial Times has found, “dispelling the myth that no one was held personally accountable for the financial sector’s catastrophic failures.” The problem: 36 of those sentenced for their role in the crisis come from just two countries: Iceland and Spain. In the second of a three-part series on the 2008 financial crisis, Capitalisn’t hosts Kate Waldock and Luigi Zingales discuss the aftermath of the Lehman crash. In the weeks after the crash Luigi remembers petitioning the government for a better bank bailout. Looking back, he and Kate review everything from TARP to Dodd-Frank to see how we averted a worse recession. But did some CEOs get away with fraud? Join the Stigler Center and the Union League Club of Chicago for a conversation with author Yascha Mounk on his latest book, The People vs. Democracy: Why Our Freedom is in Danger and How to Save It. The discussion will be moderated by Luigi Zingales and Kate Waldock and will be recorded and released in a future episode of Capitalisn’t. Details here. « Does Finance Make Us Less Religious?